Your central heating system should distribute heat evenly around your home. Radiators heat up in turn, which means those nearest the boiler will often be warmer. 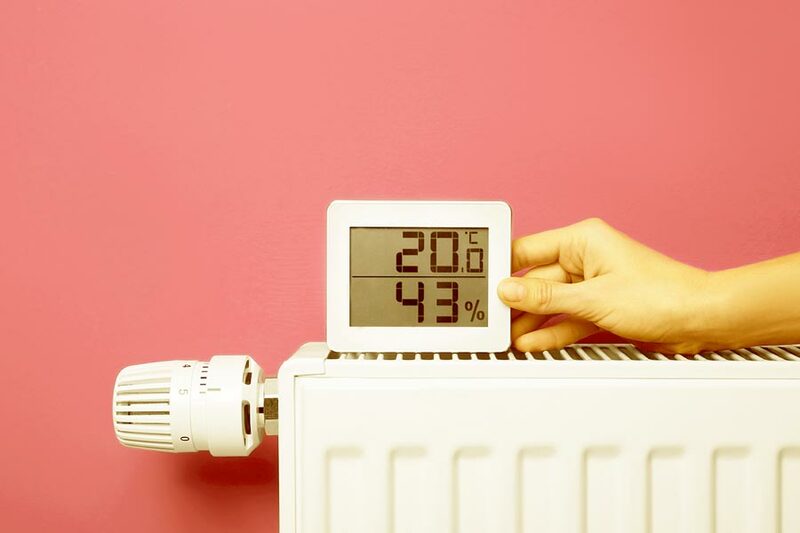 The system can sometimes become unbalanced with radiators working at different temperatures, resulting in some rooms becoming much too warm, and others feeling cooler. If this is the case, it’s likely that your heating system may need balancing. By partially closing the lockshield valve on the hotter radiators you can allow more hot water to flow to the other radiators which will help distribute the heat around the system. This may need to be repeated on several radiators. You can gradually adjust the lockshield valves on every radiator until you feel the system is balanced. A good rule of thumb is to reduce the flow in the warmest rooms and increase it in the coldest, and then make slight adjustments bit by bit. If you find that the radiators on the upper floors of your home are cold, it’s likely that there’s a problem with the feed and the expansion cistern. This will be the small cistern, usually in the loft. If you find that one radiator within your home stays cold, ensure that the valves located on the sides of the radiator are open. If you have an open-vent system (a conventional central heating system which is unpressurised and tank fed), you can use a heating system sludge remover that can be bought at most DIY stores. Be sure to follow the manufacturer’s instructions. If you have a pressurised system it may need a powerflush. Seek expert advice. If none of your radiators are heating up properly, it could be a result of a more serious problem with your central heating system or boiler. But, if all radiators are cold, there are a number of smaller faults that should be ruled out first.